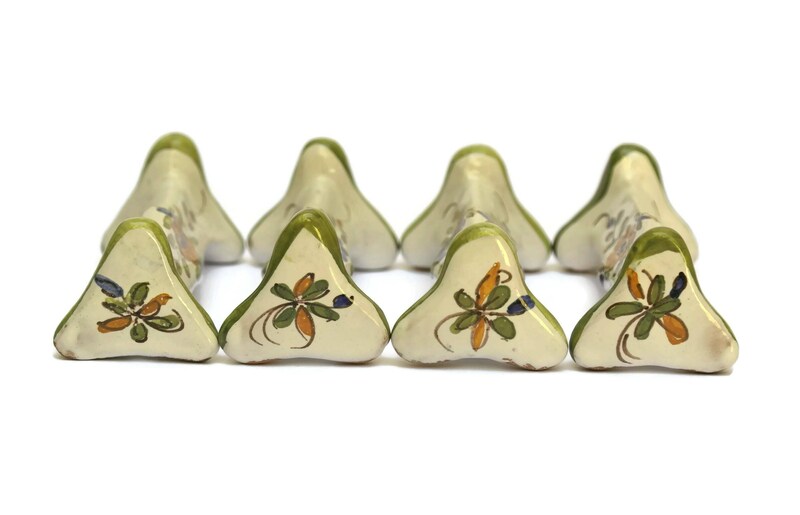 Set of 4 Hand Painted Flower Pottery Knife Rests. 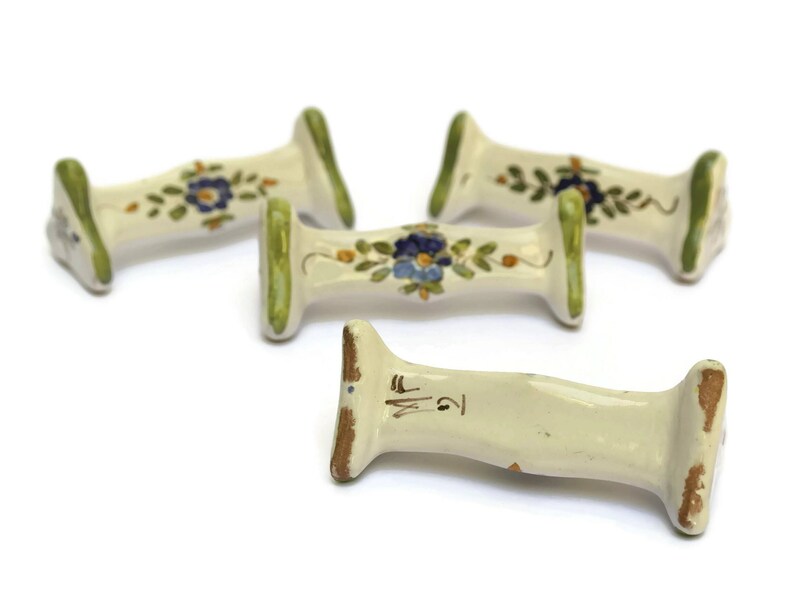 A charming set of 4 French faience cutlery rests. 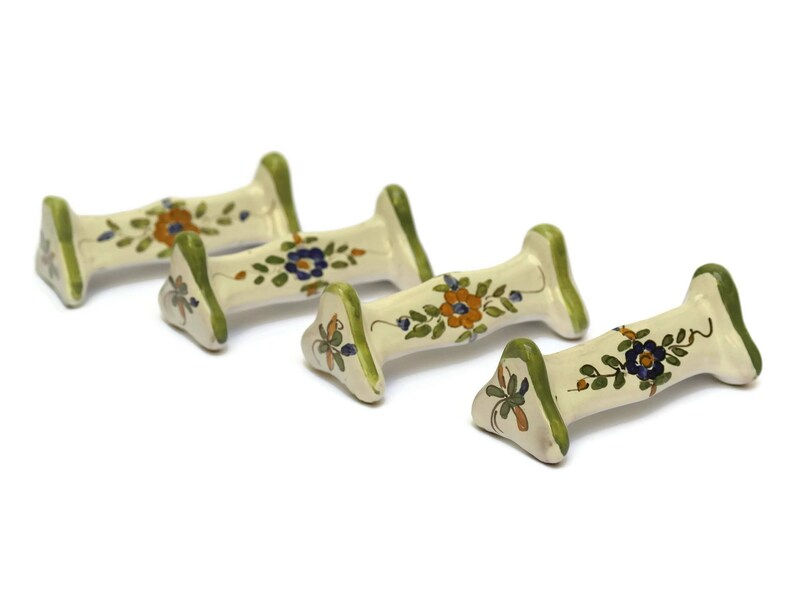 Each has been created from white glazed pottery and has been hand-painted with beautiful floral motifs in shades of blue, orange and green. Two of the triangular knife rests have been signed on the base by the artist. 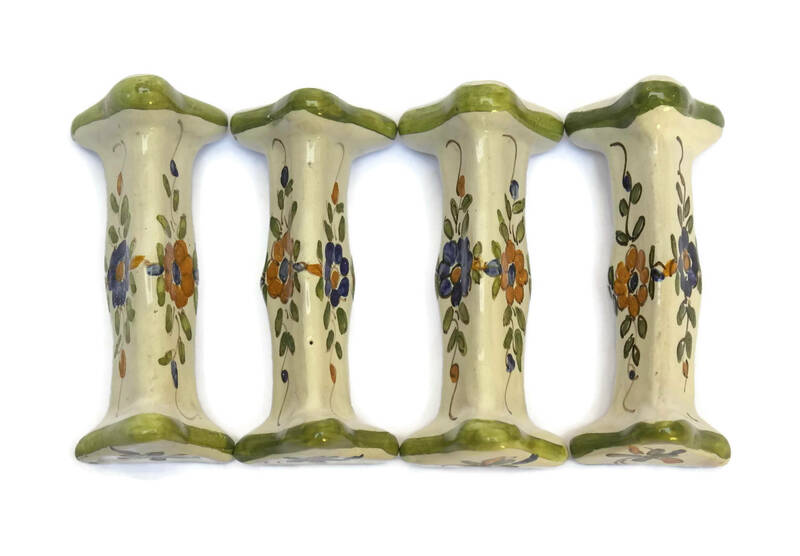 3" Long x 1" High (8cm x 2.5cm). 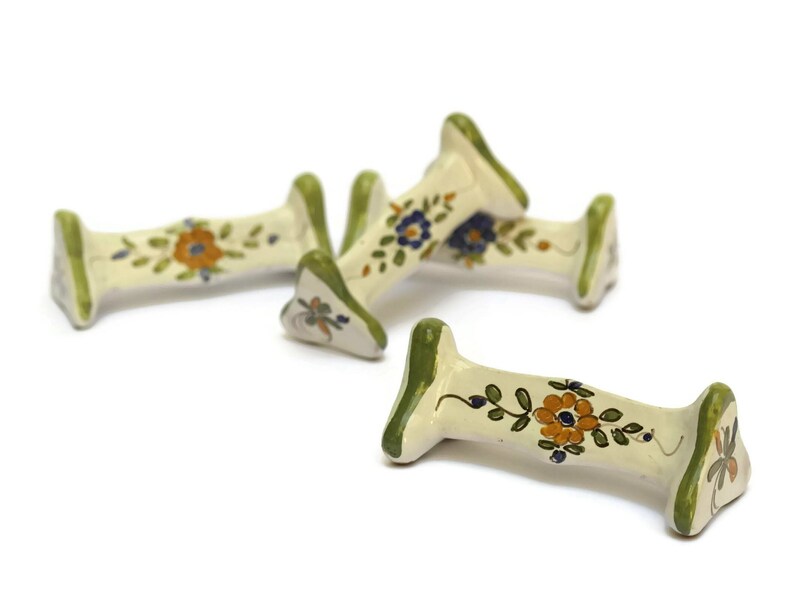 The knife rests are in very good condition with light wear.